It is the most lopsided duel in the quarterfinals of the DFB Pokal. 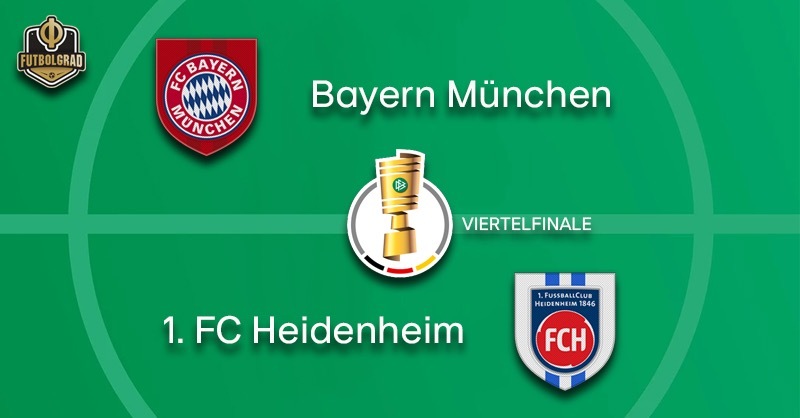 German record champions and cup winners Bayern München host minnows 1.FC Heidenheim. In Germany sides below Bundesliga 2 automatically have home advantage when facing a team from the Bundesliga. 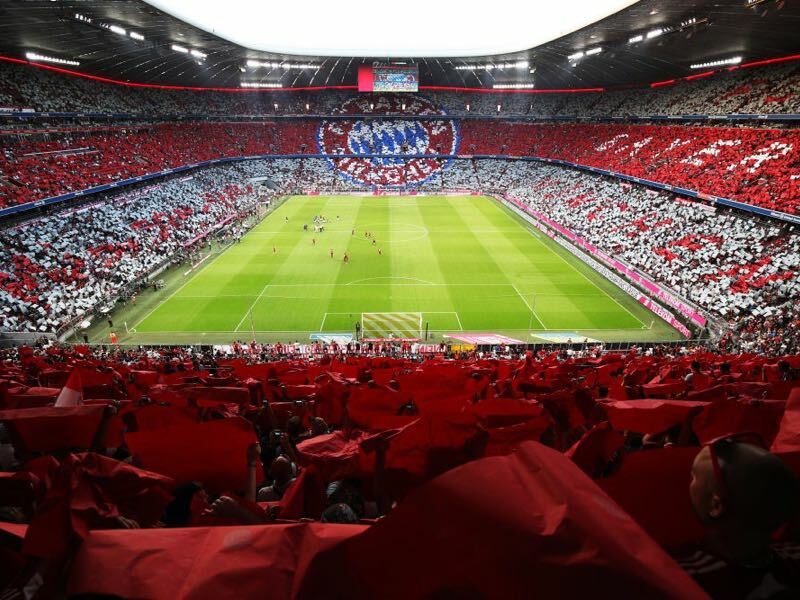 Calls to expand this to Bundesliga 2 sides have existed for a few years now and once again became a big once Bayern were drawn against Heidenheim at home at the Allianz Arena. For Heidenheim, so the argument, this would have been the game of the century. For Bayern at home, this will be just a step to the semifinal. Given that Bayern have a must-win game against Dortmund on Saturday playing against Heidenheim could be considered almost like a bye. But Bayern have been careful this week to underestimate Heidenheim. “We should not underestimate Heidenheim. I will play with the team which I believe can win,” head coach Niko Kovač said to the press. Kovač will likely be without the likes of David Alaba and goalkeeper Manuel Neuer. But the likes of Sven Ulreich and Rafinha should be strong enough replacements to get the start. Meanwhile, in Heidenheim, there is only limited hope of a cup miracle in Munich. In fact, mentioning the DFB Pokal and Bayern in the dressing room was put under censorship with the club captain collecting €20 of every player that mentioned either term. Following the 0-0 draw against Magdeburg head coach Frank Schmidt finally spoke about the game on Wednesday. “Just defending won’t work. And no matter what the situation keep cool,” Schmidt explained to the media. Freiburg on Saturday highlighted that taking the game to Bayern can make a difference but the gulf in class will simply be too much as Bayern should breeze through to the next round. 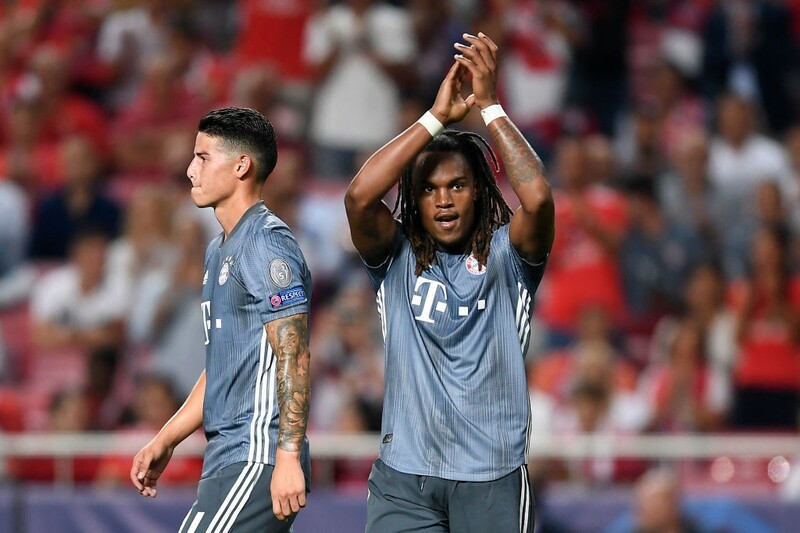 The 21-year-old Renato Sanches could be given a rare chance on Wednesday against Heidenheim. “Renato is working hard in training. His situation is not easy, he lacks the rhythm because he didn’t play for a long time. No matter who plays on Wednesday, we want to win and create a good mood ahead of Dortmund,” Kovac said during the week. The 33-year-old Marc Schnatterer is a living legend in Heidenheim. In fact, Schnatterer’s nine goals and eight assists make him the most dangerous Heidenheim player despite his advanced age and also a player that even Bayern player know to man mark on Wednesday, as defender Mats Hummels pointed out during the press conference. Bayern and Heidenheim meet for the first time in a competitive fixture. Record cup winners Bayern have reached the semi-finals in each of the last nine seasons. Bayern have won their last 16 matches in the competition against second-tier sides, scoring 52 goals and conceding just five. Thomas Müller (28) and Robert Lewandowski (27) are among the top 10 goalscorers in DFB Cup history. Heidenheim’s record goalscorer in the competition is captain Marc Schnatterer (seven).